Scholars interested in topics such as philosophy, religion, politics, art and language have employed qualitative approaches such as literary and critical analysis with great success. As more of the world’s literature becomes available online, it’s increasingly possible to apply quantitative methods to complement that research. 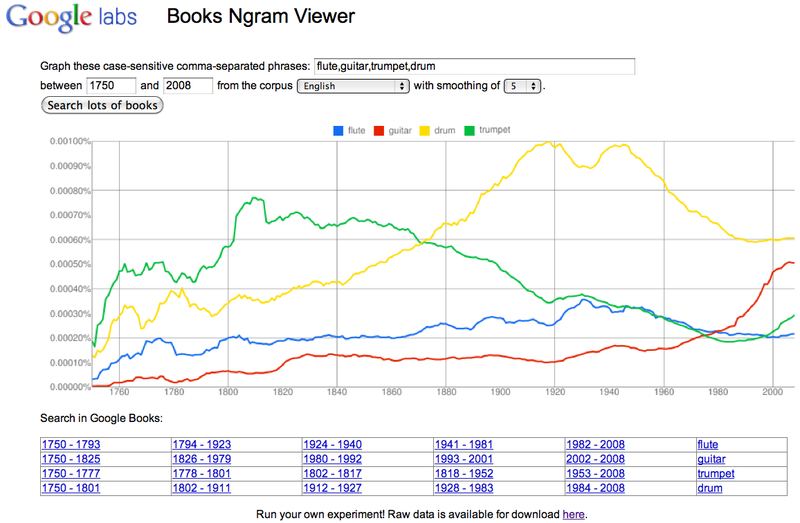 So today Will Brockman and I are happy to announce a new visualization tool called the Google Books Ngram Viewer, available on Google Labs. 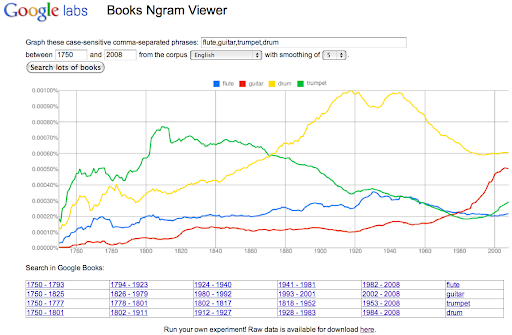 We’re also making the datasets backing the Ngram Viewer, produced by Matthew Gray and intern Yuan K. Shen, freely downloadable so that scholars will be able to create replicatable experiments in the style of traditional scientific discovery.